For those of you who didn’t know, VNC (Virtual Network Computing) server is a free and open source software which is designed for allowing remote access to the Desktop Environment of the server to the VNC Client whereas VNC viewer is used on remote computer to connect to the server . This article assumes you have at least basic knowledge of linux, know how to use the shell, and most importantly, you host your site on your own VPS. The installation is quite simple. I will show you through the step by step installation VNC server on CentOS 7. Step 2. Install Gnome desktop. Step 3. Install tigervnc server and X11 fonts. Step 4. Configure firewall rules to allow the VNC connection. Step 5. 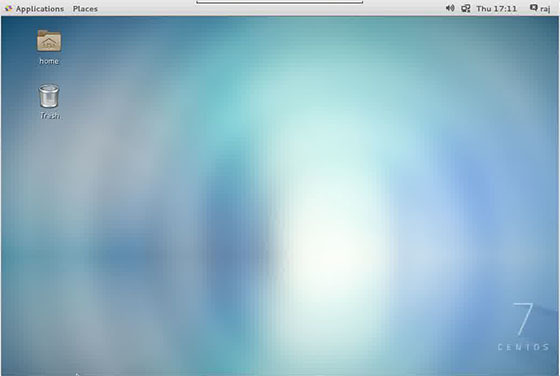 Start VNC server. Step 7. 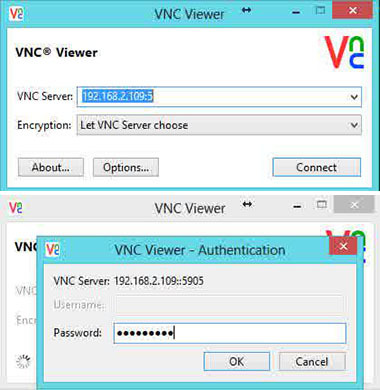 Now you can able to connect VNC server using IP and Port ( Eg : 192.168.2.109:5 ) and you will be asked to enter the password, enter the password that you have created earlier. Congratulation’s! You have successfully installed VNC server. Thanks for using this tutorial for installing VNC server on CentOS 7 system. Related Posts of "How To Install VNC Server on CentOS 7"